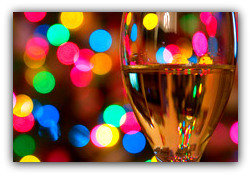 Please join the Washington Network Group for our WNG Holiday Networking Reception. Note: Wednesday has been declared a National Day of Mourning in recognition of President George H.W. Bush’s passing, and the WNG sends our condolences to the Bush family. We will convene this event as planned and hope you will join us. This year we return to the Eighteenth Street Lounge, which is where it all began! Indeed, twenty years ago the WNG held its first Holiday Networking Reception at ESL, so we are pleased to return for 2018! Our reception takes place in the Gold Room, which includes a private bar. ESL offers a broad array of happy hour specials during our event, which is run 'cash bar' with complimentary hors d'oeuvres. This reception brings together WNG Members who participate in all six of our WNG Roundtables: International, Communications, Government, Technology, Entrepreneur and Career Development, as well as in our Emerging Leaders Forum and our Women's Leadership Forum. Attire is Business and Festive. We are very pleased to have Ironistic as our presenting partner for this event. To learn more about Ironistic, contact Chris Foss, Co-founder via email or call 703-829-0809. See initial registrants (click here) on our registration page, left side panel. Please Note: The Eighteenth Street Lounge (ESL) occupies a second floor location without elevator service. The venue is within walking distance from the Farragut North Metro station, the Farragut West Metro station and the Dupont Circle Metro station. Garage parking is available in the surrounding area. There is limited street parking available until after 6:30 PM when parking restrictions end. Please register in advance so that we may plan accordingly. *Become a new/first-time WNG Member (annual dues are $90) and attend this particular event at no extra cost. Register below, and then submit your WNG membership application online. Expired membership? Please pay/renew your dues online before registering online as a WNG Member. The Join & Go option is not available for WNG Members whose dues have expired. REGISTER ONLINE: Click here. Please register online in advance.